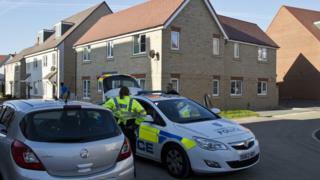 The daughter of a woman murdered by her abusive partner has said fear stopped her from telling anyone about his behaviour. 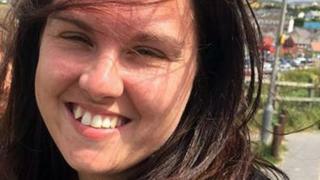 Paul Hemming beat mother-of-three Natalie Hemming, 31, to death in their Milton Keynes home in 2016. Her daughter Kirstie, 14, said she was often scared of him. When interviewed by police after her mother disappeared, Kirstie did not reveal her fear because “if he found out I’d said anything he’d be angry”. 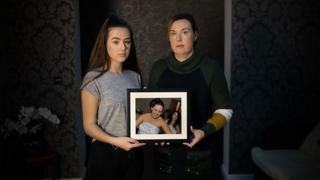 The teenager, who has spoken publicly about the case for the first time in a BBC Two documentary, was 12 when her mother was killed by Hemming, who was father to the victim’s two other children. Kirstie’s younger brother woke up and came downstairs to see his father scrubbing the floor in the living room while his mother’s body was wrapped in a rug. Hemming then dumped the body in woodland. In the documentary following children and families affected by domestic abuse, Kirstie said her stepfather would get angry at “little things like, say, a room wasn’t tidy or something was not the way he wanted it to be, or me and my mum didn’t do things the way he wanted us to do”. “I didn’t think about telling anyone – it was the consequences,” she said. In a police interview, Kirstie recounted one instance on a school night when she was made to stand in the “naughty corner” from 18:00 to 07:30 the next day after an apple in her bag went soggy. The teenager, who is now being brought up by her aunt and living in West Yorkshire, said she felt “a bit numb” towards Hemming. “Most of my childhood I trusted him and next thing I know he’s killed my mum and I don’t really understand why he would do that in the first place,” she said. Behind Closed Doors: Through the Eyes of the Child will be broadcast at 21:00 GMT on Wednesday, 6 February on BBC Two.